1.In order to vote you must not be a BBC or BBC group company employee, an employee of any of their affiliates or close relative of any such employees or other personnel involved in the production. 2.The shortlist for the BBC Women's Football Award will have been drawn up by a panel of football experts and BBC production staff. 3.The criteria on which the shortlist will have been drawn on includes - Technical ability, Impact on club and/or country results, Consistency, Improved level of performance, Teamwork, Fair play. 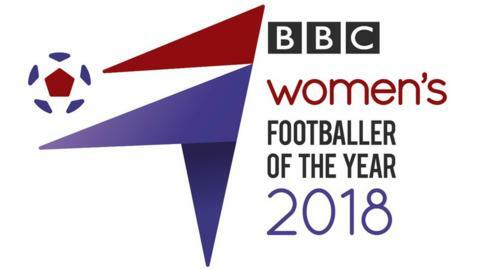 4.Votes can only be made online by accessing bbc.com/womensfootball from 1800 GMT (1900 BST) on 22nd April 2018 until 0800 GMT (0900 BST) on 8th May 2018. You will only be able to vote for one of the shortlisted footballers. 5.The winner will receive a trophy and be revealed on air as BBC Women's Footballer of the Year 2018. 6.No correspondence relating to the vote will be entered into. 7.There will be no prize for anyone taking part in the vote. 10.If, for any reason, the online voting system fails, the vote may be suspended or a contingency plan may be actioned. 11.The BBC reserves the right to change, cancel or suspend the vote at any time. 12.The BBC its sub-contractors, subsidiaries and/or agencies cannot accept any responsibility whatsoever for any technical failure or malfunction, or any other problem with any online system, server, provider or otherwise which may result in any vote being lost or not properly registered and recorded. 14.The BBC will use your personal data for purposes of running this vote and in accordance with the BBC's Privacy & Cookies Policy. The BBC complies with the Data Protection Act 1998. For more information on how the BBC uses your information please refer to http://www.bbc.co.uk/usingthebbc/privacy/privacy-policy. 15.These Terms and Conditions are governed by the laws of England and Wales.